Dear EarthTalk: I came home today to yet another set of phonebooks at my front door. I feel they are a great waste of paper, especially in this electronic age. How can I stop getting these books? Better yet: How can we get the phone companies to stop making them? 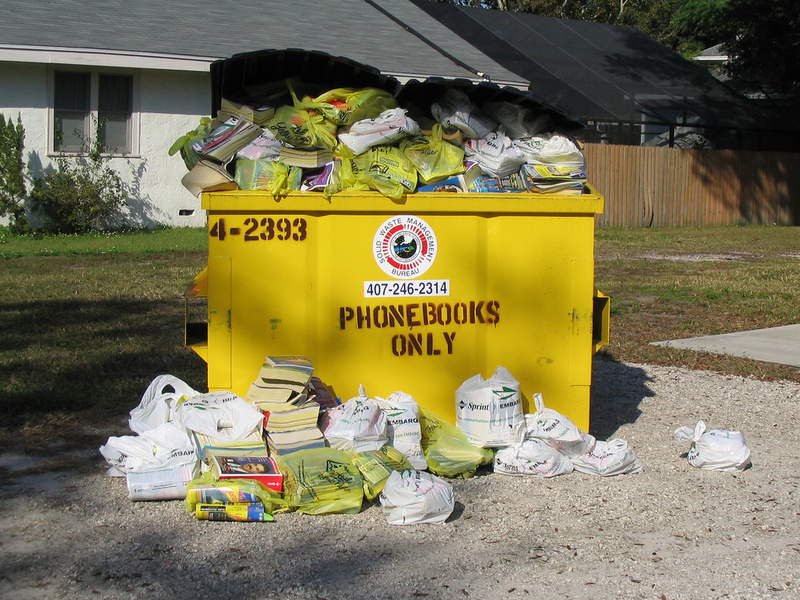 Many of us have little or no use for phonebooks anymore. While such directories are helpful for that occasional look-up of a service provider or pizza place, consumers and businesses increasingly rely on the Internet to find goods and services. Directory publishers usually do make their listings available online nowadays, too, but the books are still money-makers for them as prints ads fetch top dollar even though their effectiveness is waning and much harder to track. According to the nonprofit YellowPagesGoesGreen.org, more than 500 million phone directories—nearly two books for every American—are printed and distributed every year in the U.S., taking with them some 19 million trees. Upwards of 1.6 billion pounds of paper are generated to produce the books from these felled trees, while 7.2 million barrels of oil are churned through in creating them (not including the gasoline used for local deliveries). Producing the directories also uses up 3.2 billion kilowatt hours of electricity and generates 268,000 cubic yards of solid waste that ends up in landfills (not including the books themselves, many of which eventually end up in landfills in areas where recycling is not available or convenient). Unfortunately, there is no centralized way for consumers to opt-out of receiving the big books like the National Do Not Call Registry for telemarketing. Most individual yellow and white page publishers have “no deliver” lists they can add you to, but they will not be held accountable if the books show up anyway. The YellowPagesGoesGreen.org website will find your local/regional directory pages publishers and ask them not to deliver on your behalf. The site warns, though, that there are no guarantees with this either. For their part, directory publishers insist they have made great strides in recent years to operate in an environmentally responsible manner. The Yellow Pages Association (YPA) and the Association of Directory Publishers (ADP) have collaborated on formal guidelines calling for source reduction in the production of directories, environmentally sensitive manufacturing practices and enhanced recycling programs. About 90 percent of industry members have adopted the guidelines so far. Examples in practice include the use of water soluble inks and recycling-friendly glues, not to mention forsaking the use of virgin trees in their books (many books are made from recycled old phonebooks, mixed with scrap wood; see a previous column that discussed this. Because of widespread and increasing use of the Internet, many sources of information—from newspapers and magazines to newsletters and, yes, directories—are forsaking print for online placement. So it is really just a matter of time before phone directories follow that lead. In the meantime, asking to be removed from the delivery list of your local directory publisher can only help to hasten that inevitability. Unfortunately for beach lovers and owners of high-priced beach-front homes, coastal erosion in any form is usually a one-way trip. Man-made techniques such as beach nourishment—whereby sand is dredged from off-shore sources and deposited along otherwise vanishing beaches—may slow the process, but nothing short of global cooling or some other major geomorphic change will stop it altogether. According to Stephen Leatherman (“Dr. Beach”) of the National Healthy Beaches Campaign, beach erosion is defined by the actual removal of sand from a beach to deeper water offshore or alongshore into inlets, tidal shoals and bays. Such erosion can result from any number of factors, including the simple inundation of the land by rising sea levels resulting from the melting of the polar ice caps. Leatherman cites U.S. Environmental Protection Agency estimates that between 80 and 90 percent of the sandy beaches along America’s coastlines have been eroding for decades. In many of these cases, individual beaches may be losing only a few inches per year, but in some cases the problem is much worse. The outer coast of Louisiana, which Leatherman refers to as “the erosion ‘hot spot’ of the U.S.,” is losing some 50 feet of beach every year. Besides collectively lowering our greenhouse gas emissions substantially, there is little that individuals—let alone coastal landowners—can do to stop beach erosion. Building a bulkhead or seawall along one or a few coastal properties may protect homes from damaging storm waves for a few years, but could end up doing more harm than good. 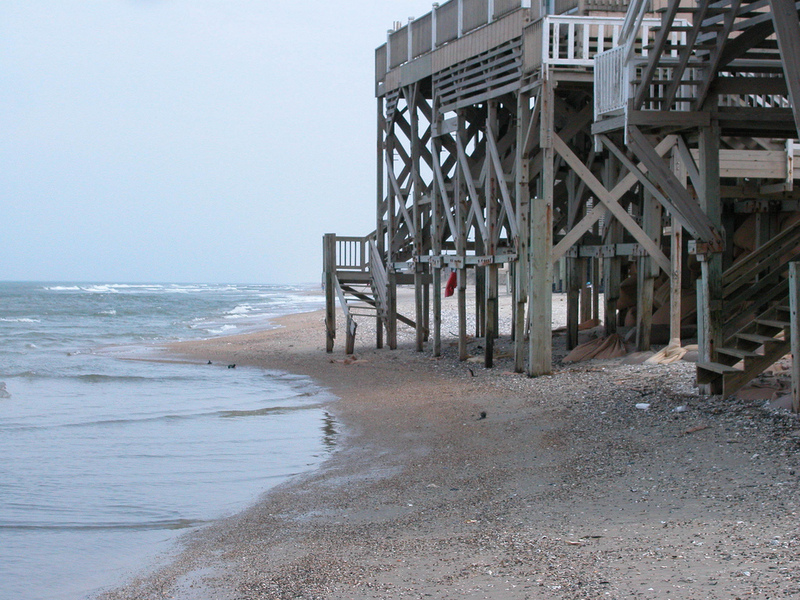 “Bulkheads and seawalls may accelerate beach erosion by reflecting wave energy off the facing wall, impacting adjacent property owners as well,” writes Leatherman, adding that such structures along retreating shorelines eventually cause diminished beach width and even loss. GOT AN ENVIRONMENTAL QUESTION? Send it to: EarthTalk, c/o E/The Environmental Magazine, P.O. Box 5098, Westport, CT 06881; submit it at: HYPERLINK “http://www.emagazine.com/earthtalk/thisweek/” www.emagazine.com/earthtalk/thisweek/, or e-mail: HYPERLINK “mailto:[email protected]” [email protected] Read past columns at: HYPERLINK “http://www.emagazine.com/earthtalk/archives.php” www.emagazine.com/earthtalk/archives.php. We contacted you a few weeks ago regarding Van Jones’ involvement with ShoreBank, and I just wanted to follow up with some new info. We have two new videos of Van Jones speaking about the Green Collar Economy and ShoreBank available. 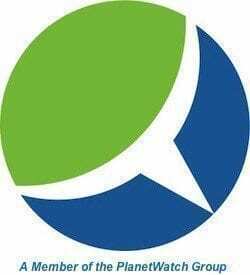 If you would like the link to the videos or if you have any questions about ShoreBank and their green initiatives, please contact me directly. Thanks! Thanks Tracy, I’ll email you about this. Greencard. You might try going to the E magazine website to see if there is info in other languages. I work at a San Diego news station and we just did a story on this. Aside from them being recyclable, there is a contact number to have these be NOT delivered to your house anymore. They are quite outdated and filling up landfills. If only we could stop all the coupon clippers. I think my link will send you to that story.